How important is being at the top of search engine results? Answer the question yourself. How many new customers do you gain monthly from your online presence? If the answer is 100, what if starting next month you only gained 30 clients per month for the next year? How well would your business fare during this lull? How about we reverse that thought? What if you’re accustomed to gaining 30 new customers monthly? How much better would your company fare if you were all of a sudden gaining 100 new customers monthly? Think about it… put tangible numbers on paper… visualize the increase or decrease in business…. almost there… visualize it a bit more…. there, you got it! Now you understand! But my pages are optimized, what gives? The first item above refers to “page optimization”. This is an important part of the equation and complimentary for all other optimization efforts, however, it only has the capacity to increase your score by less than or up to 25% of its potential. What is on-page and off-page search engine optimization anyhow? 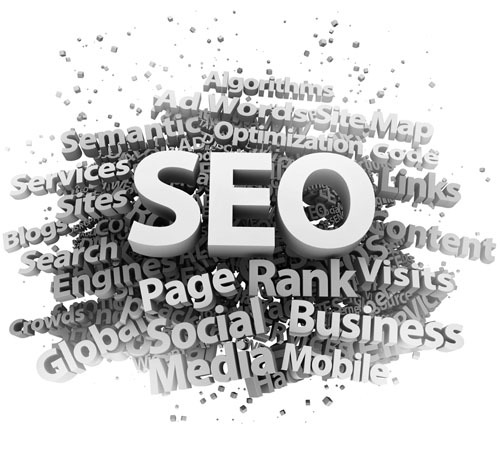 On-page SEO is search engine optimization efforts done within the actual pages of your website. To name a few, this includes the organization of your website and the pages within it including filenames, titles, keywords, image file names and the list goes on. Why can’t my site be search engine optimized once and then its good forever? Search engine optimization is an ongoing effort. While on-page optimization can typically be handled once and then tweaked quarterly based upon new products and new SEO techniques, off-page optimization requires ongoing continuous efforts. Why is that? Because undoubtedly your competitors will continue to focus on their off-page SEO efforts and inevitably if you don’t, their rank will rise above yours in a matter of time. More importantly, search engines have built algorithms to prevent any company from trying to “cheat” the system and increase their rank through unacceptable techniques and furthermore penalizes companies who are inactive online. Tell me all the techniques I need to know! What are they? Make sure each of your pages uses unique file names, page titles, image file names and content unique to the product or service you are marketing within that specific page. If you are a local bakery, don’t try to load all of your products into one page, break it up! One page that targets each type of product: pastries, cookies, cakes, cupcakes, etc. Don’t spam the Internet. Don’t post on garbage sites (translation: unknown forums with a bunch of other spam posts is not a good place). I can hear you now… darn it… you’re making my job hard! I know… SEO is not easy work, it’s time consuming and requires patience and attention to detail. Sorry… like everything else in life… there’s no real way to get rich quick… well… beyond being lucky… but if you’re willing to gamble your business on luck, then stop reading my article now, cause I can’t help you. Okay, so what you do is create one-way inbound links to your site from other sites (Note: reciprocal links, the ones where you ask someone to link to you if you link back don’t count, search engines don’t give points for these). Don’t just link back to yourself without any thought, consider what others will search for when looking for your services. For example, when linking to a local pastry shop, I’d be more inclined to name the link “Ottawa homemade buns” than to name it “PastrysRus”. This tells search engines what the link to your site is about, and when those search terms are used by individuals performing searches, you are more likely to be included in the search results. Make sure you dedicate a few hours a week to creating inbound links. If you pay attention to quality and don’t spam, you’ll never be able to create too many, you can expect to create 10-15 quality links an hour once you get good at it. If you do this 5-10 hours a week, you’ll have 75-150 inbound links every week. If you use automated services, you’ll end up with thousands of “garbage” links and search engines will penalize you for it. Consider researching “pagerank” and “social media” to get started. Having an in-depth understanding of how search engines position you can be a vital tool in your competitive arsenal when trying to increase your profits. Want to increase your performance even more? Hire a professional that knows what they’re doing. Hire someone who can explain the efforts in a way that you understand, so you know what you’re paying for. Unfortunately, there’s no way an article can teach you what I’ve learnt over thousands upon thousands of hours and there’s no way your efforts will ever beat a professional team that focuses solely on these efforts. Besides, wouldn’t you make way more profits performing tasks that you’re already good at with those thousands of hours… and wouldn’t you be happier as well? You wouldn’t go to a gun-fight with a toenail clipper would you? If you’re serious about your business and its success within your industry (I know you’re nodding right now)… s-l-o-w-l-y… put down those clippers… and give us a call! As you can see, there’s a lot to search engine optimization and reaching the top of search engine results, but, there’s even more to staying on top! It’s well known that search engines continue to enhance their ranking algorithms each and every month and this trend is only going to accelerate. It’s always been about location… location… location… and that’s no different today, when it comes to search engine positioning, where do you want your location?